Want to get started building your first website? 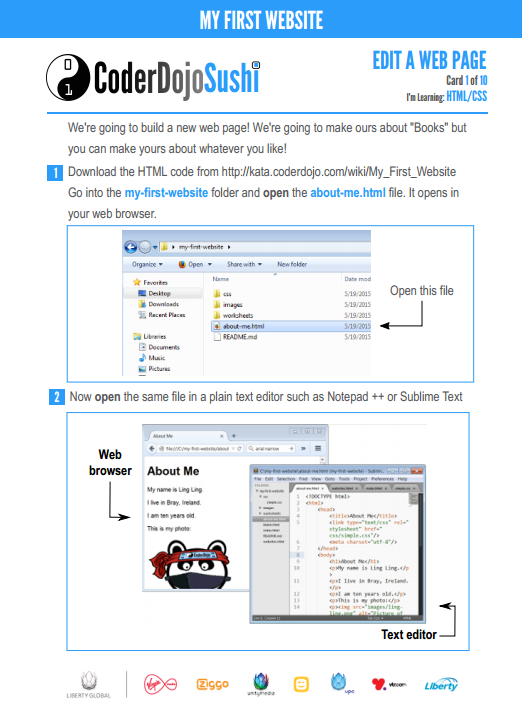 Check-out these hand-outs from CoderDojo – by the end of these exercises you’ll be well on your way to creating whatever kind of website you’d like to make! Got a question or need help getting started? Enter your email address to follow CoderDojo Metuchen and receive notifications of new posts by email.